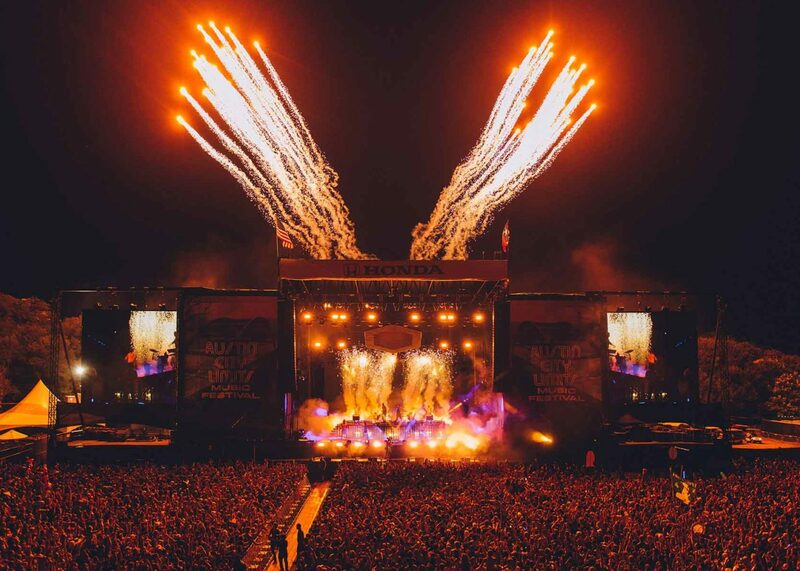 Austin City Limits, the massive two-weekend festival that brings the biggest names in the music industry from all genres, entered its 17th year in 2018. 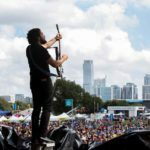 Last year, venue Zilker Park, was expanded, and ACL once again took advantage, offering more separation from the massive video screens that accompany each main stage, giving patrons more room to wander, experience side stages, and, of course, more room to rock. 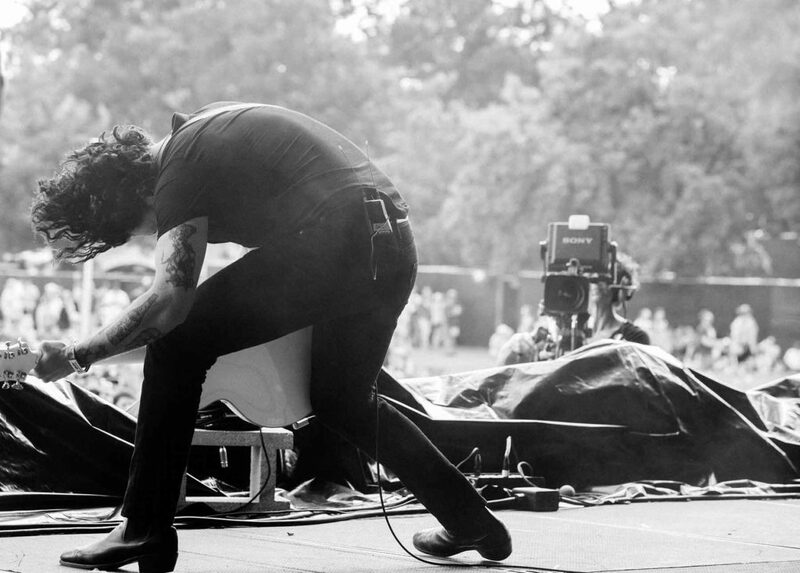 Below: A smattering of experiences from ACL weekend. 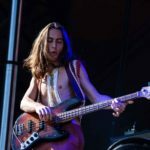 Greta Van Fleet – a rock band that has been exploding in popularity consisting of four very young Michigan men – delivered all the blood, sweat, and groove the audience expected but not more. While they’ve got the massive grandeur and raw elements of pure Zeppelin, they’re not Led Zeppelin – yet. 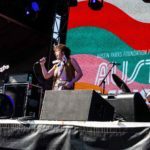 They embrace the sassy, spunky, and electric blues energy of those first two 1969 albums, but the band is still young yet and their live show showcases plenty of potential coupled with the need for more refined songwriting, especially lyrically. 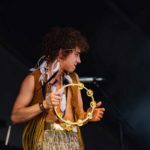 Sporting a tanned and fringed vest, vocalist Josh Kiszka was powerful. 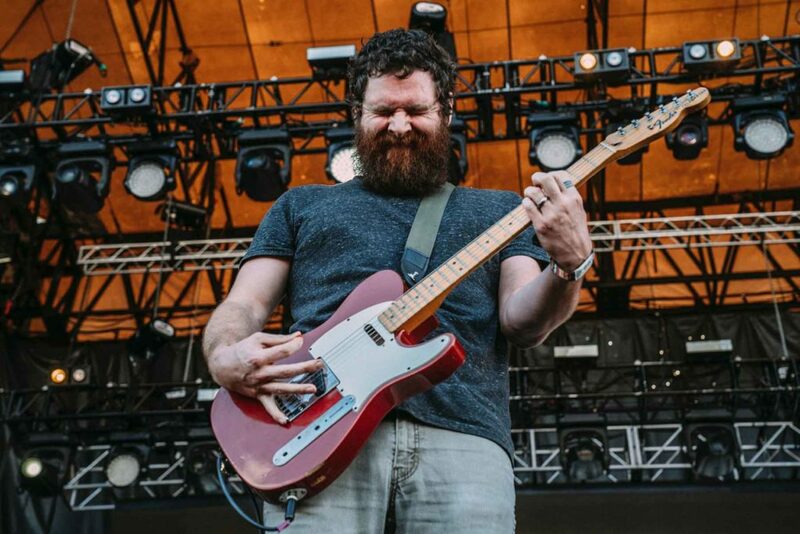 His wailing vocals stayed strong throughout the set, making it look easy to howl. 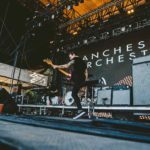 Brothers Jake (guitar), Sam (bass and sometimes keyboards), and Danny (drummer) Wagner didn’t waste any time between songs – ACL is tight on their set times – with Jake’s rhythmic riffing and frequent lead breaks standing out, tasteful with a perfect tone. 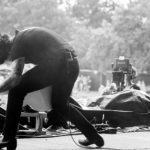 When he played his Gibson SG behind his back, he held it upright so that it looked like a giant headless man was shredding away; it’s nothing new, but it was proficient and dripping with attitude. The band was nice and loud, offering the kind of danceable groove at 4:35 p.m. on a Friday to set the mood for the rest of the weekend. 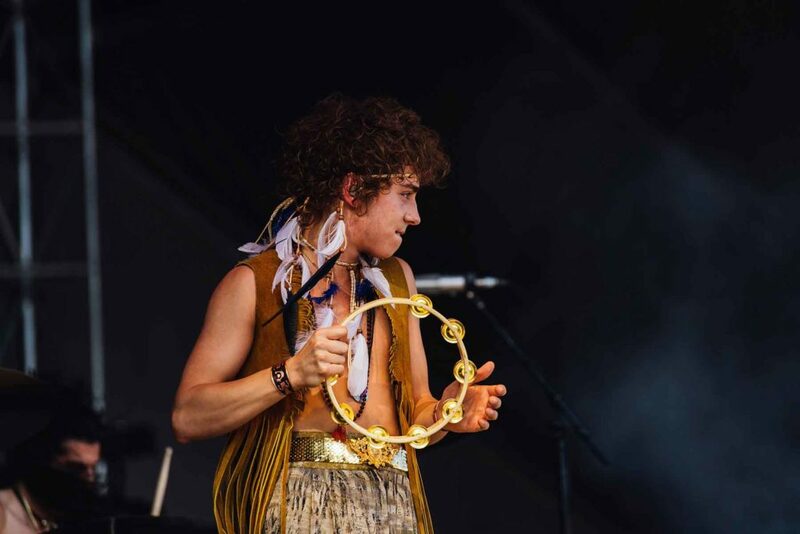 One of the byproducts of a giant festival is choosing between Greta Van Fleet and Manchester Orchestra – two great bands competing for eyes and ears at the same time. Both had huge audiences, and I’m sure not a single member of each crowd had FOMO. 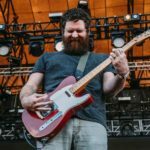 MO played as if the audience was in its back pocket, ending up with the mesmerizing and settling-down tune “The Gold.” A nice way to send off the set. 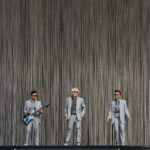 This Aussie import took to the giant Honda Stage earlier in the afternoon with infectious anthemic rock not too distant from U2 (minus The Edge’s chiming guitar). 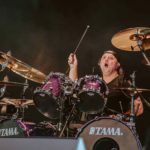 Melodic, laid-back songs make the band very listenable; the set was so engaging it was impossible to pull away and bar hop to the multiple other stages. Each track was compelling and hit the right nerve of energy, swelling dynamics, and storytelling. I could listen to these guys for hours, which helps pass the time on 14-hour festival days. 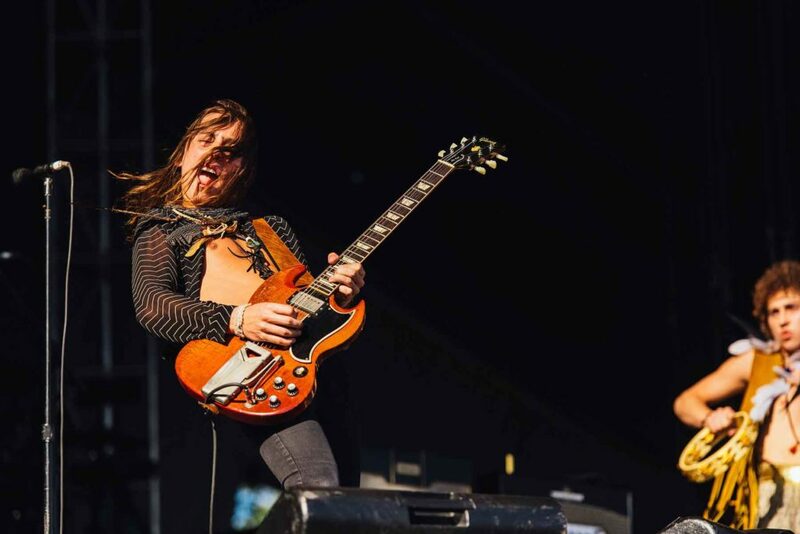 Frontman David Le’aupepe roamed the stage in command of the audience like a true frontman as if it were his hometown crowd in a small pub, while his band was in total control of their laid-back vibe. Lauren Mayberry, the painted frontwoman of this Scottish band, cried, “I need a miracle!” from the stage. She was the first of many artists over the weekend with warrior-style face paint, a visual indicator of the frontwoman’s ongoing off-stage political engagement. She later announced it “was a bad day for humanity” – referring to the recent confirmation of Supreme Court Justice Brett Kavanaugh –partly apologizing for her commentary since they were Brits and had their own Brexit going on. 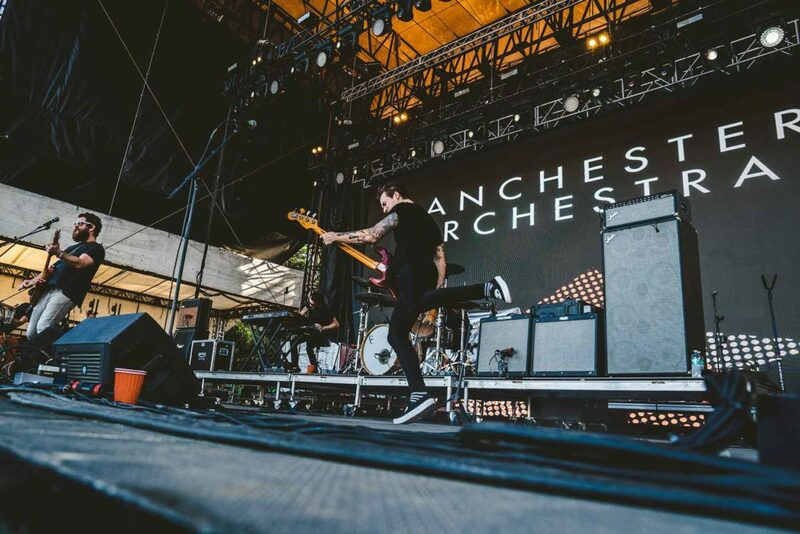 Using the stage as a pulpit, the band sounded great as well, perfectly performing their brand of tightly wound pop songs that the giant sea of an audience loved. 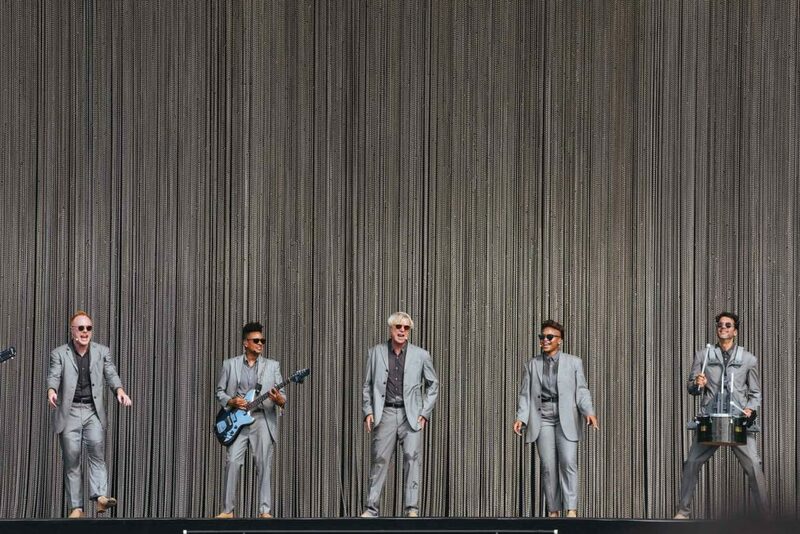 David Byrne, the old Talking Head, has silver hair now but is still the consummate showman. 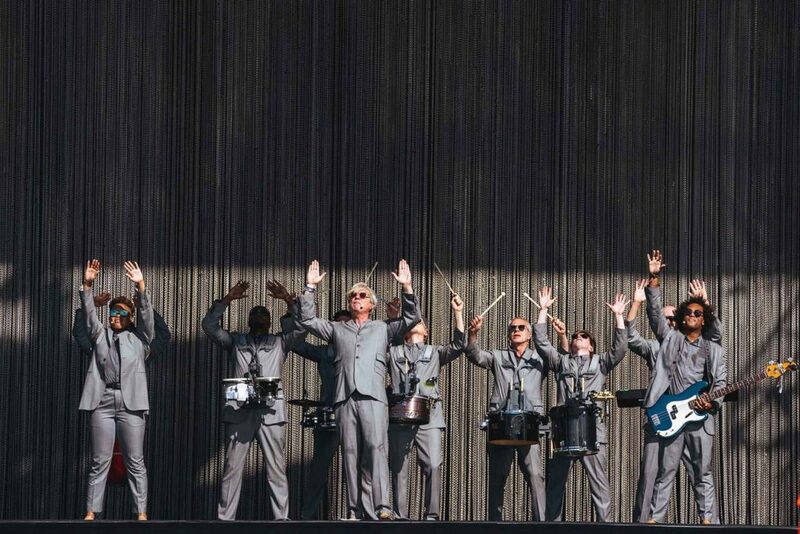 Immediately standing out, the band was outfitted in uniform grey suits with dark sunglasses adorning each member. They moved around the stage in sync in front of giant chain curtains – imagine a video with TV fuzz as the backdrop. 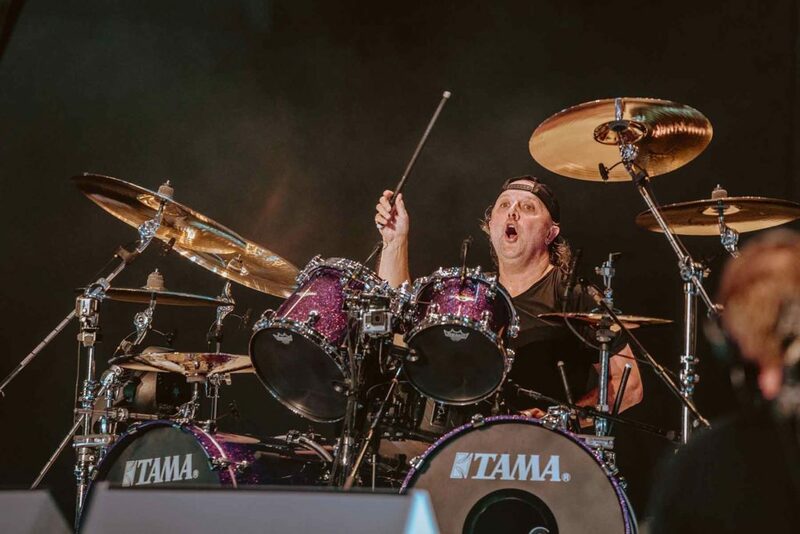 “A Taste of Life” began with his signature jerky movements, but it wasn’t just old nostalgic tunes that carried his set. 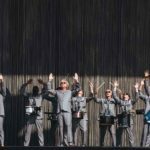 It was well-executed showmanship and an underlying rhymthmic groove to their music that carried the set. 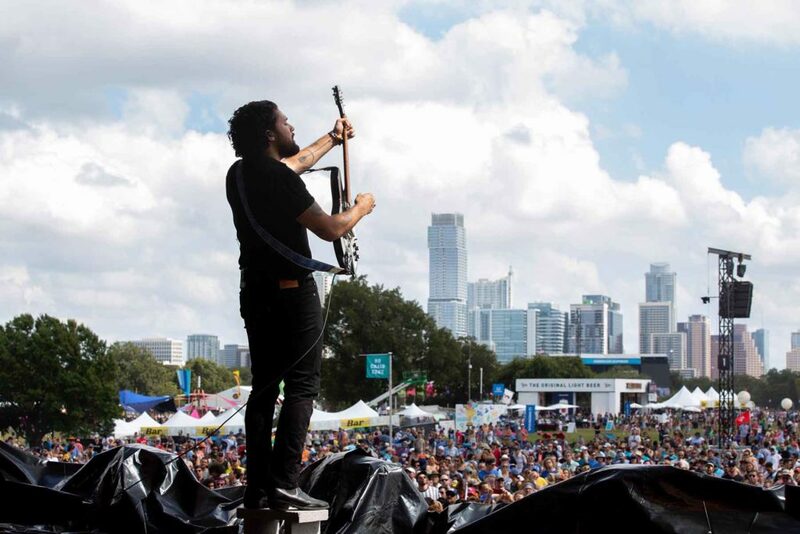 Maybe you came to #ACLfest and were put off by the leftist leaning politicartists that proselytize from the stage, thinking the world is a haven of atheist pagans. That would be ignoring the platform and stage given to gospel music each day and each year of the music festival. Someone in upper management knows the connection of spiritual music to rock and roll and they continue to honor it each year. Worth noting here. Nonstop beats, blips, and rhythm. And don’t forget the lights. 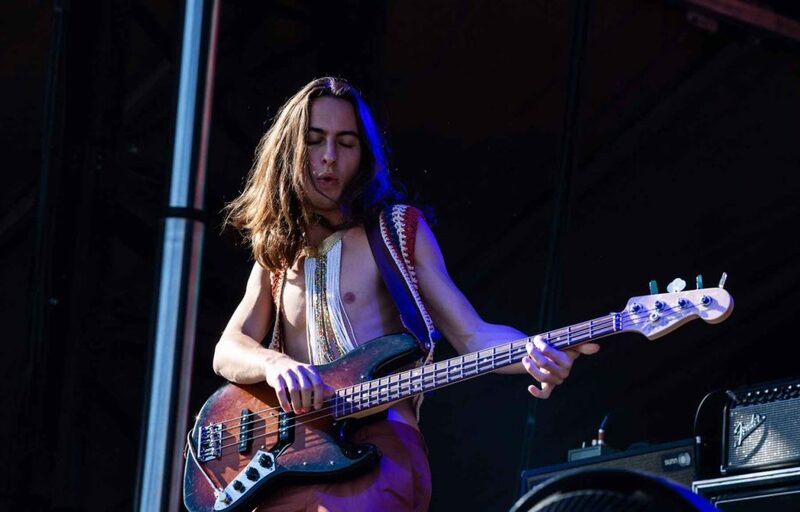 They flashed so brilliantly that the Tito’s Vodka tent felt like a midnight rave in the middle of daytime. The artist known as San Holo (aka Sander van Dijck) was all over the place, playing “future” bass guitar and spinning records for the audience, kept in a fit of euphoric dance. 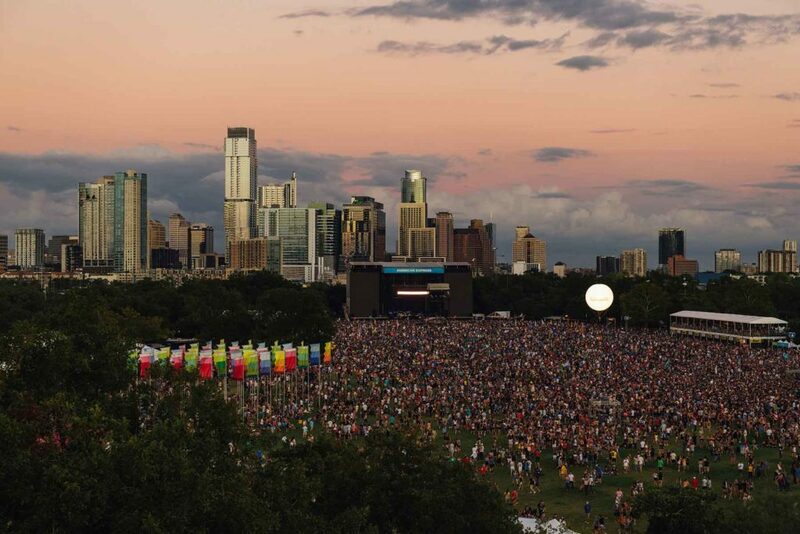 Artists like San Holo are a great example of the up-and-coming showcase ACL gives to emerging artists, while cementing itself as a truly varied festival dedicated to good music regardless of genre. Everyone’s favorite ’90s band had a swelled crowd at the American Express Stage on the east end of Zilker Park. 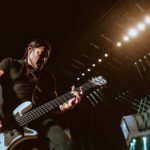 The crowd, in band’s back pocket like a familiar old friend, gave frontman Chino Moreno supreme license, interacting with the crowd, utilizing the giant snake pit catwalk Metallica had installed for its set later on Saturday night. Moreno and band weaved through “Rocket States” and “Around the Fur” to kick their set off; Moreno brought out his guitar for “Swerve City” after playing the hit “My Own Summer”; “Engine No. 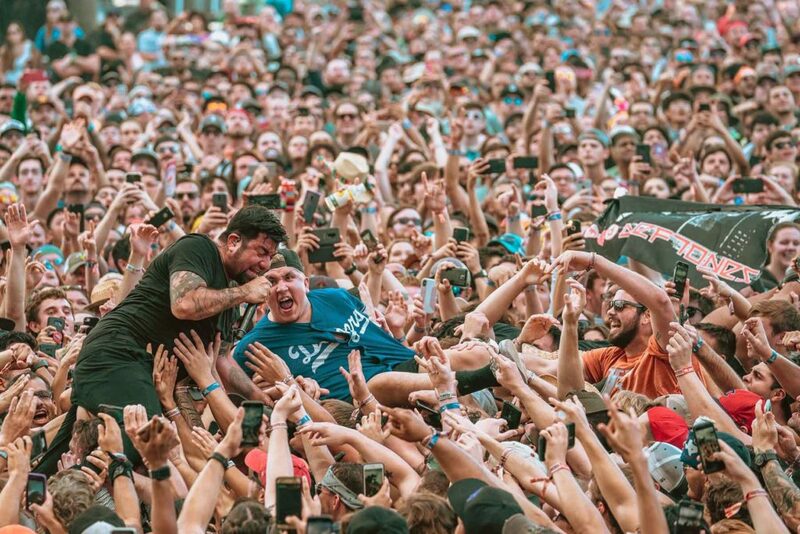 9” was still animated and energetic, a true throwback for the original Deftones fans, which allowed moreno to truly connect, jumping in the crowd (see photo above). Totally cool, edgy, and electric, St. Vincent has songs that cut and drive, a sharp conglomeration of digital and analog. 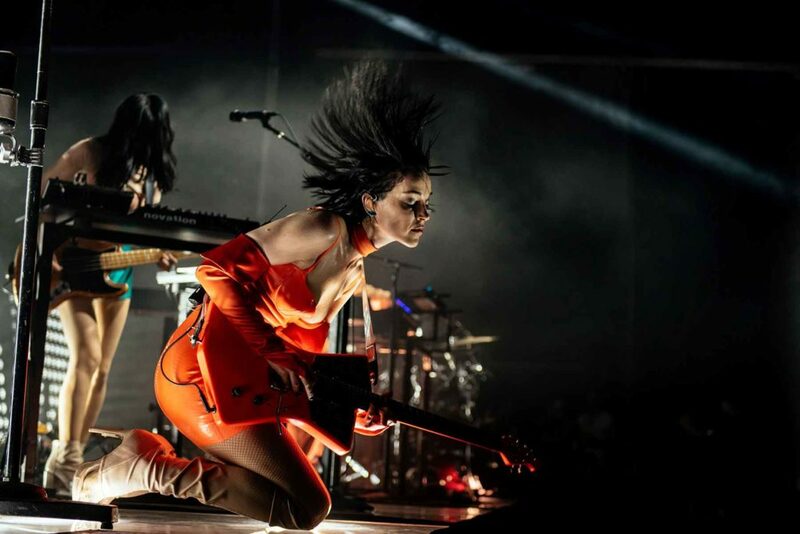 The band she employs is hard-driving and rocking, but St. Vincent is more a solo act – Anne Clark with a backup band. 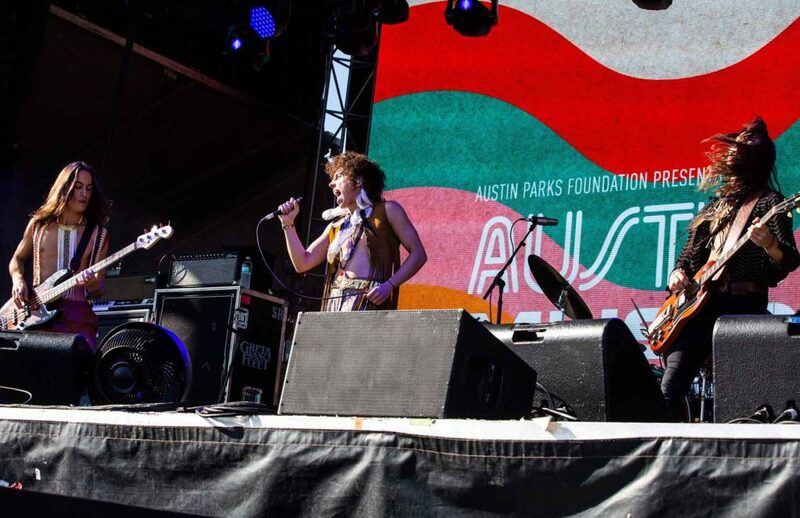 Austin City Limits Music Festival (like the renowned television show) is known for its upcoming alt-rock stars (now meaning loads of EDM heroes and spunky song-crafters), but the organization can still get down, dirty, and heavy every once in a while. Cue Metallica. 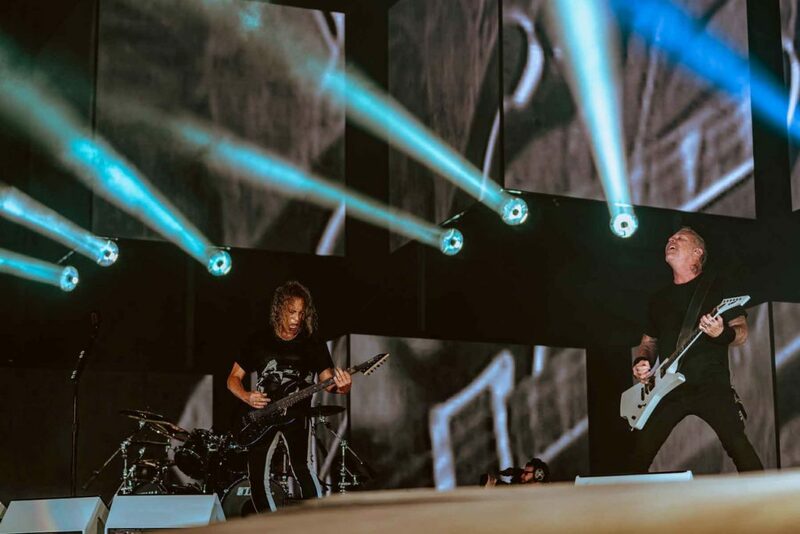 Throughout the set, Hetfield and lead guitarist Kirk Hammett utilized the giant catwalk, nicknamed the “snake pit” because some very excited fans got to stand inside the loop for an upfront perspective of the show. The giant video screens on left and right – with random images in the center – gave those of us in the back and the chance to feel like they were close to the action, too. Hammett played several guitars throughout the night – a cool custom painted superhero guitar, a metallic glitter purple strat-like body piece, and a nice gold Les Paul. 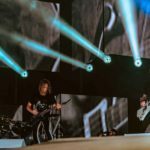 Later, Hetfield thanked the old school fan, then took a poll to see who was seeing the band for the first time – a lot in the crowd – and then he said, “We’re all Metallica family here tonight. And I’ve got one question for you, ‘Are you alive?’ And if you want to live forever, first you must die.” Lots of red painted faces flashed on and off in multiple squares on the middle video screen. 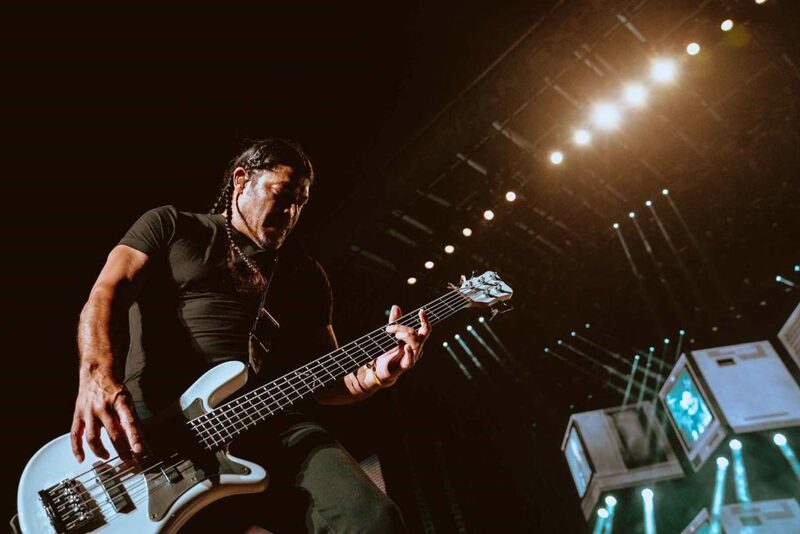 Bassist Robert Trujillo got the crowd to chant, “Hey! Hey! Hey!” to help start, “For Whom the Bell Tolls.” During the song, he squat-squared off with Hammett for a guitar lead crouch-off. Hammett kept at some really blistering solos, and they even jammed some Stevie Ray Vaughan. 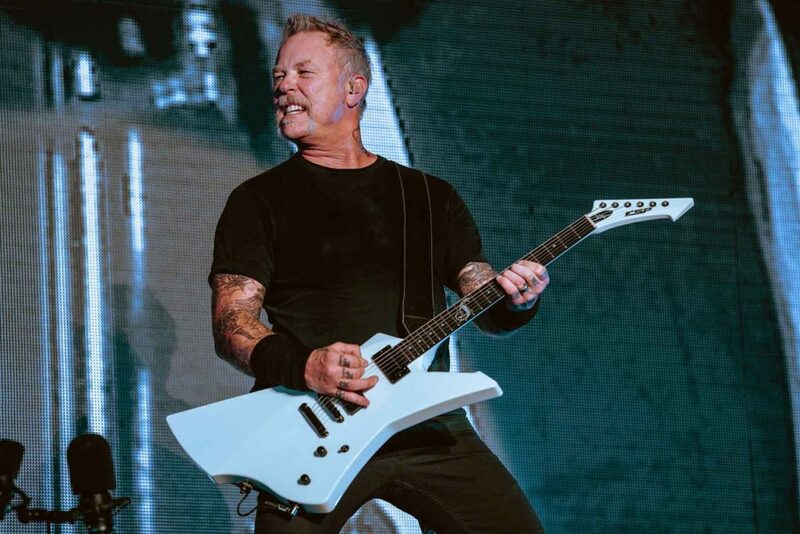 At the end of the set, Hetfield took his Destroyer guitar headstock and slammed it down on the stage and started coaxing some cool sounds out of it by twisting knobs and then strumming the strings towards the upper side of the neck. It foreshadowed the band shifting into a lightning-fast version of “One” before “ending” the show with the classic, “Master of Puppets.” No one was fooled. A three-song encore of “Battery,” “Nothing Else Matters,” and the band’s most famous track, “Enter Sandman,” truly finished off the night alongside a short-but-cool red fireworks blast above and behind the stage. 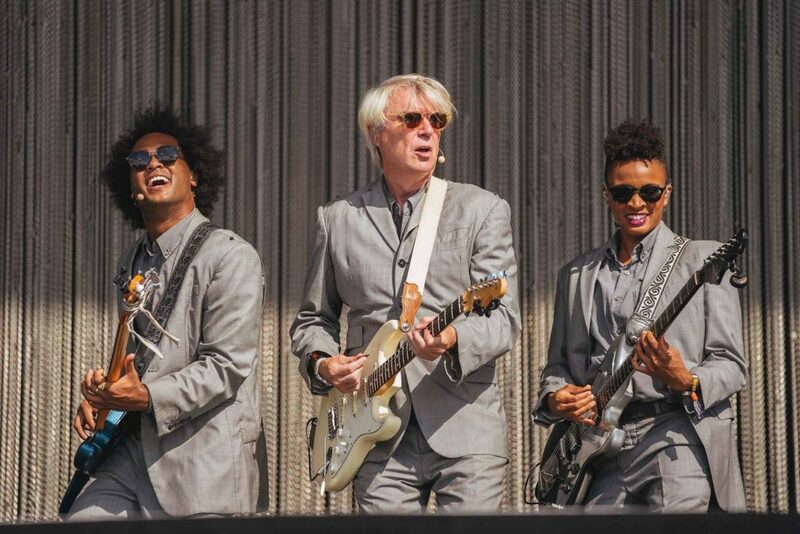 Austin City Limits 2018 was posted on October 17, 2018 for HM Magazine and authored by Doug Van Pelt.